Last week’s five-cookbook giveaway was a huge success. I reviewed five of my favorite cookbooks to give away, and over 700 comment entries were submitted. Six lucky winners were selected (in addition to the five regular cookbook winners, one winner will receive an E-Book version of Go Dairy Free), but even if you weren’t among the six, don’t dispair! I have gathered together all of the sample recipes from the week for you to trial and enjoy. If these examples entice, then you can pick up a copy of any of these wonderful cookbooks at a discount on Amazon for yourself or a loved one, or add them to your Amazon wishlist and cross your fingers that Santa comes through! 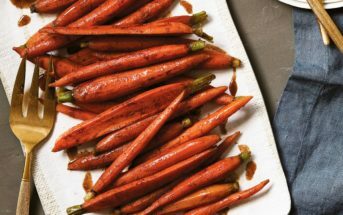 This recipe is adapted from Go Dairy Free: The Guide and Cookbook for Milk Allergies, Lactose Intolerance, and Casein-Free Living. This book/cookbook is also available as an ebook to be downloaded in an instant worldwide. These deliciously soft cookies are perfect for sharing this holiday season. See the options at the end the recipe for jazzing them up even more. If you use coconut oil (as I did), just make sure all of your ingredients are at room temperature. I have a bad habit of adding chilled maple syrup, which causes the coconut oil to solidify. Also, if you like a soft cookie, store any leftovers in a ziploc bag once cool. This recipe is Vegan, Dairy-Free, Egg-Free, Soy-Free, and optionally Nut-Free. In a medium-sized bowl, combine the flour, baking powder, baking soda, cinnamon, and salt. Set aside. In a large mixing bowl, mix the oil, sweet potato, sugar, maple syrup, and vanilla until well combined. Slowly incorporate the flour mixture into the wet mixture. The dough will be rather sticky. For best results and better manageability, chill the dough for at least 30 minutes to 1 hour. If using coconut oil, it will firm up particularly well. Drop the dough by the heaping tablespoonful onto baking sheets (ungreased non-stick or lined with non-stick silpats or parchment paper). Bake for 10 to 14 minutes, or until they no longer look wet, and are just beginning to brown around the edges, or to your desired doneness. 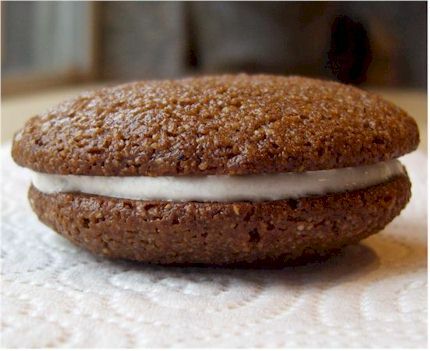 (I like them a little softer on the insides, so I bake them for 10 to 12 minutes, depending on the size). Cinnamon-Sugar Topping: If desired, combine 2 teaspoons of granulated sugar (white sugar, palm sugar, etc.) and 1 teaspoon of cinnamon in a small dish, and sprinkle the mixture atop each ball of dough before baking. Pecan Topper: I like the festive touch of pressing one nice half pecan into the top of each ball of dough before baking. The pecans toast up nicely. 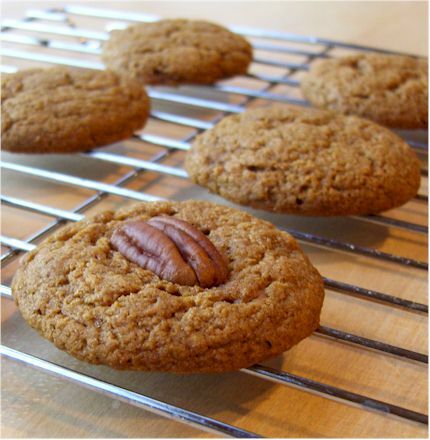 Flavorful Add-ins: If you like, you can add dried cranberries, raisins, chocolate chips, or nuts to your cookies. Stir about 1/2 cup to 1 cup of your desired add-ins into the dough after you stir in the dry ingredients. 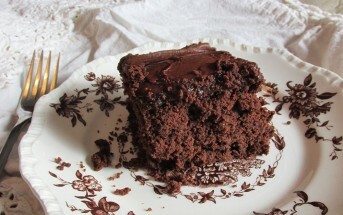 This recipe is from Sweet Freedom by Ricki Heller. See Ricki’s blog for deals and specials on this cookbook. She does ship direct to U.S. and Canadian customers, and also has an ebook available for worldwide purchase. 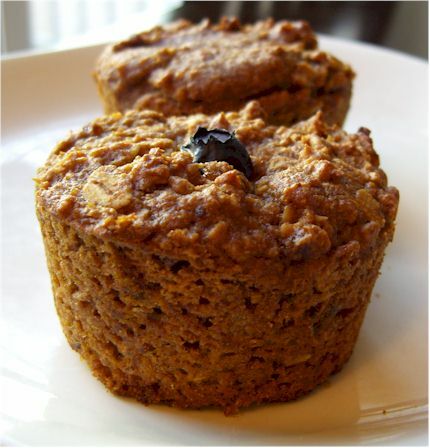 “Unlike many low-fat muffins, these taste great: they are moist and flavorful, with an intense orange presence. There’s also substantial fiber from the fruits and whole spelt. Using a food processor means these are incredibly easy to prepare!” – or blender in my case as you shall see. And yes, Ricki includes metric measurements for all of the recipes in Sweet Freedom, just like this one. This recipe is Vegan, Dairy-Free, Nut-Free, Soy-Free, and Free from Regined Sugars. Alisa’s Note: No Food Processor? I don’t have one either. I simply added the orange sections through the milk alternative to my little old blender, and let ‘er rip until it was well blended, with a few tiny date and orange bits left for interest. Bake for 15-20 minutes, rotating the pan about half-way through [I skipped the rotation], until a tester inserted into one of the muffins comes out clean. Cool 5 minutes in pans before removing to a rack to cool completely. These taste even better the next day, as flavors meld [I can vouch for that!]. These muffins freeze beautifully [I can’t vouch for this, since we devoured them all while fresh]. Recipe adapted from The Garden of Eating by Chef Rachel Albert-Matesz. For faster deliver, this cookbook is available to purchase direct from Chef Rachel via her website. In the cookbook, it states to cut the chicken into 2-inch wedges. I completely missed this part and broiled them whole – luckily it worked out beautifully. This recipe is Dairy-Free, Egg-Free, Gluten-Free, Grain-Free, Soy-Free, Nut-Free, and Free of Refined Sugars. In step 1, add 1 tablespoon minced fresh or 1 teaspoon dried rosemary, tarragon, dill, or basil. Honey-Mustard Chicken with Chipotlé: Replace ginger with 1/2 teaspoon ground chipotlé. Omit black pepper and garnish final dish with minced cilantro before serving. 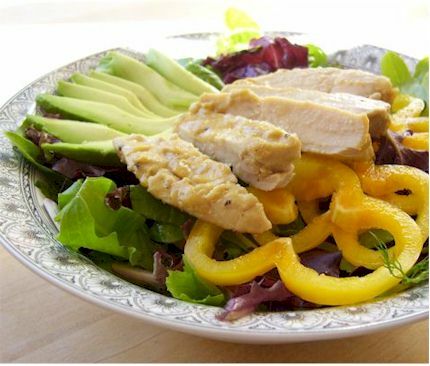 Honey-Mustard Chicken Salad: Serve chicken over heaping individual plates of raw spinach, arugula, or spring greens, minced scallions, parsley, red radishes, celery, fresh or sun-dried tomato slices, avocado, and a squeeze of lemon or lime juice. Recipe adapted fromThe Gluten-Free Almond Flour Cookbook. Since I used homemade almond flour, and didn’t want to spend all day grinding and sifting, I reduced the batch size of the recipe, and adjusted some of the ingredients accordingly. Also, I didn’t have any agave nectar on hand (we aren’t big fans), but found that honey and maple syrup do sub nicely. This recipe is Vegan, Dairy-Free, Egg-Free, Gluten-Free, Grain-Free, Soy-Free, Free from Refined Sugars, and far easier than it looks – boy I do ramble on, don’t I? *Elana recommends blanched almond flour, which I am sure is superior. If you are like me and just have some raw almonds on hand and want to trial this recipe out, pulse them in your spice grinder until a mealy/floury consistency is reached. This happens very fast, do not overgrind lest you end up with almond butter. Using a mesh sieve, sift the almond flour to extract the finest bits to use for your flour. Repeat until you have the amount you need. Don’t fear waste either; you can turn any rejects into almond butter! 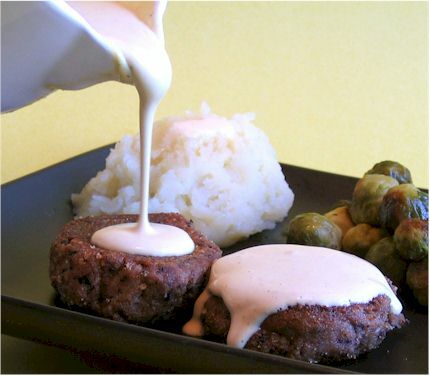 This recipe is from 1,000 Vegan Recipes by Robin Robertson, published by John Wiley & Sons.